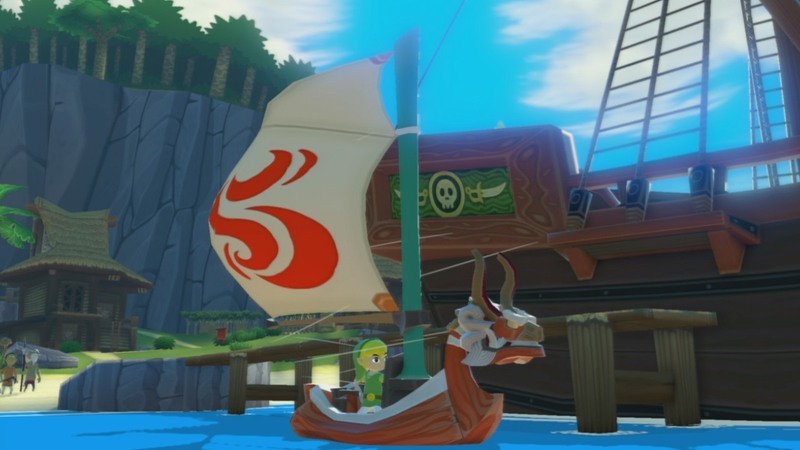 Just as a heads up, this article contains heavy spoilers for The Legend of Zelda: The Wind Waker. However, it is to your benefit to be familiar with the game’s story as I will not dive into every aspect of the plot and seek to summarize it. This is merely a literary analysis of the game, comparing it to a traditional writing method and established archetypes. The adventure of the hero is an old storytelling mechanic that dates back to one of the earliest written stories we have, The Epic of Gilgamesh. The plot of the story, known as the hero’s journey, also called the monomyth, has been retold, improved, and remixed countless times. It is in books, movies, video games, and more. It is so common, yet, what truly characterizes it? More than that, how does it apply to The Legend of Zelda? After all, Link is essentially a blank slate, made for the projection of the player into the world. However, he has more personality than people realize. While the concept of the hero’s journey sounds simple enough, it is actually a very complex storytelling device. Joseph Campbell, originally intrigued with myths and legends, discovered that many heroic tales often contain very similar story beats. Christopher Vogler then expanded upon these ideas in his book Twelve Stage Hero’s Journey. 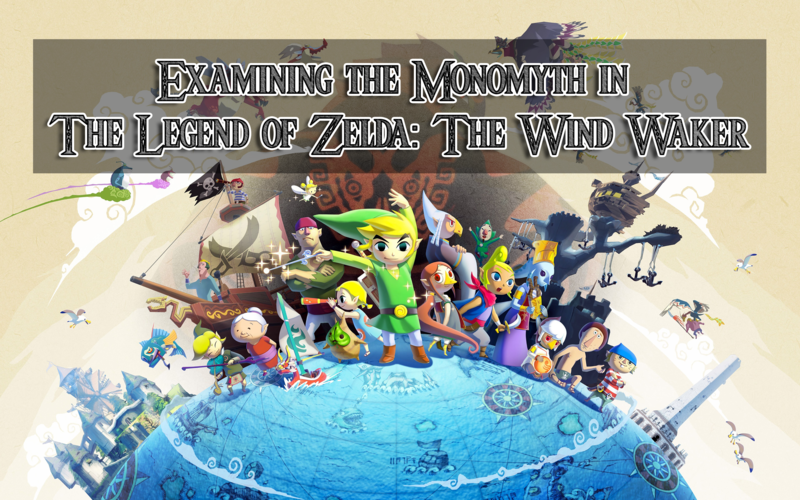 After studying these concepts and using a breakdown of them written by screenwriter Dan Bronzite, it appears that Link’s journey in The Legend of Zelda: The Wind Waker follows these twelve stages. In a typical monomyth, the hero/protagonist begins in his standard world. This can range from something as simple as living in a suburban home to being the king of a Greek country. This Ordinary World exists as a constant for the hero and gives us an early in to his or her life. It provides the audience with a look at the protagonist’s humanity, flaws, and any other aspects that help us relate to him or her, thereby allowing us to create emotions towards them, whether they be emotions of admiration, hate, or anywhere in between. Think of this step as an establishing shot from a movie as it gives the audience the basic information we’d need to know in order to create mental disposition towards this character. 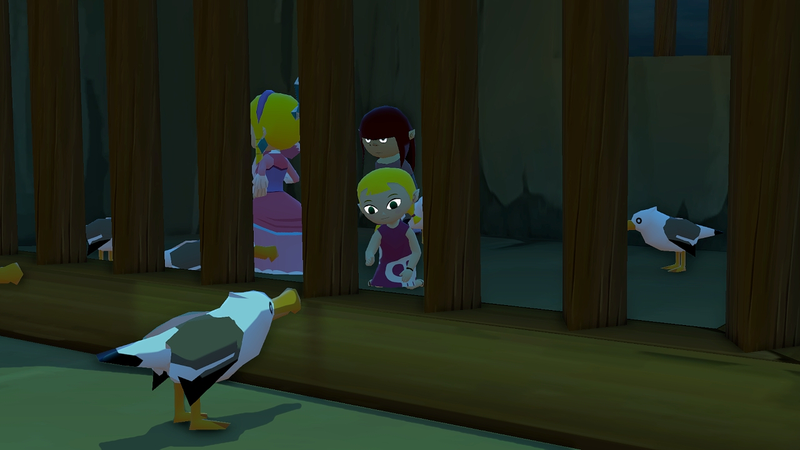 In The Legend of Zelda: The Wind Waker, we are given insight into Link’s world. He is established as being a young boy on an island (Outset Island) who lives with his grandmother and sister. They are a part of a small community of islanders that live in peaceful harmony. The people of Outset are blissfully unaware of the world beyond them as there is no reason to venture outside of it. This paints a picture of Link’s life before the inciting incident occurs. Furthermore, an identity is created for Link based off of what other people say about him and how they react towards him. There are kids that look up to him, people that are grateful to him for all of the help he usually gives them, as well as the adoration his family gives him. These ideas illuminate the character of Link, building the concept of the person the audience will be following on this adventure. The Call to Adventure is an event that disrupts the homeostasis of the Ordinary World that the protagonist begins in. While his world Ordinary World may not be perfect, it has become a place of comfort for him. This comfort brings security and a lack of necessity to go beyond the walls of his home. The Call is something that shatters this vision of perfection. The hero no longer feels comfortable or safe and his world has become ruptured. 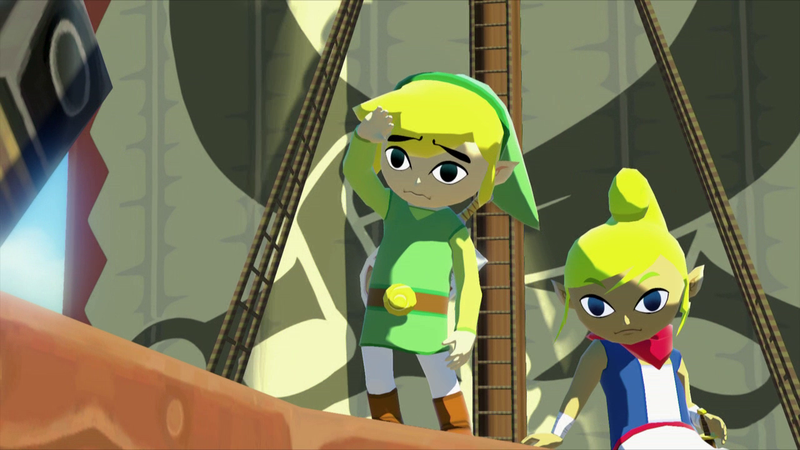 In The Wind Waker, Link’s call to adventure is in the form of the kidnapping of his sister, on his birthday no less. As he has just finished saving the pirate Tetra from falling into the woods on his home island, his sister is kidnapped by the Helmaroc King, a giant bird sent by Ganondorf to find Princess Zelda. 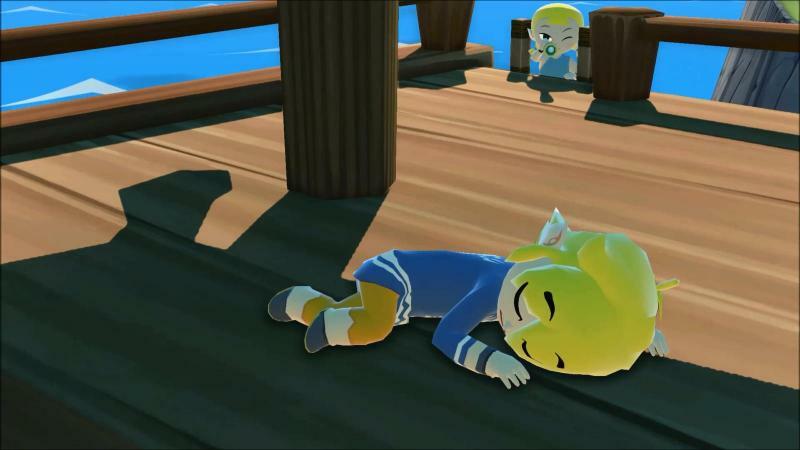 Since Aryll looks like Zelda, having blond hair and pointy ears, as is the custom of the Hylian race, she is mistaken for Zelda and carried away. Link, in his haste, manages to nearly kill himself in an attempt to save Aryll. This event pulls him out of his standard way of living and shoves him into a world that he never knew existed. More than that, he is thrust headfirst into a millennia old conflict that has plagued the land since its inception. Understandably apprehensive, Link waves farewell to his grandmother, leaving her alone. He is reminded that it is not too late for him to turn back by Tetra, but he stays firm in his resolve. Link realizes that he is leaving his grandmother alone, him being the only grandchild still with her. In this moment, both Link and his grandma understand the difficult choice to be made. Link knows that he must save his sister, leaving his only other family member in the process. His grandma also wants Aryll to be rescued, but at the same time, does not want to lose another grandchild. There is a struggle on both sides as Link and his grandma have to come to the realization of what needs to be done. Not only that, but they must accept this and any outcomes that might result from this decision. While the mentor is someone who teaches the protagonist something, he or she may also be someone who gives an object of some significance to the protagonist. In Arthurian legend, there are two characters that fit this description, the first being Merlin. The beginning of the legend of King Arthur and Camelot has Merlin teaching Arthur various lessons throughout his childhood. Merlin becomes almost like a father figure to Arthur, instructing him throughout his life. and preparing him for his future. The second mentor might not seem like one at first glance. Thematically, the Lady of the Lake fulfills this role as she bestows the legendary sword Excalibur upon Arthur. As she imparts wisdom and the sword, she grants Arthur valuable resources that further his development as a character. 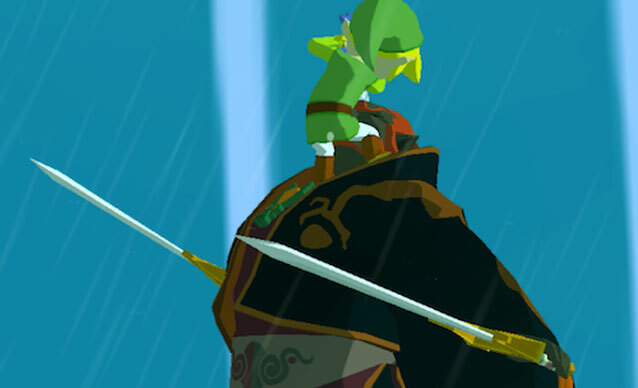 In The Wind Waker, there are two different figures that function as mentors for Link. While The King of Red Lions serves as the guide and mentor throughout a majority of the game, very early on, we are introduced to Orca. He fulfills his purpose in a very similar way to the Lady of the Lake, granting Link a sword and imparting wisdom upon him for his journey. Through training and granting the sword, Orca provides Link with much needed guidance in order to start his journey. The King of Red Lions plays the part of the guide for Link, helping him along his journey and teaching him valuable lessons. He encourages Link and provides him passage along his path, assisting him in any way that he can. Further, the King of Red Lions also informs Link of what he must do to gain strength in order to rescue his sister. The Crossing of the Threshold shows the hero’s resolve to take this journey upon himself. This is the culmination of the past four steps as the hero finally leaves home and commits to the journey. As a precursor to the rising action, the protagonist has finally decided to leave his Ordinary World, a choice not made lightly. The hero must weigh the cost of embarking on such a journey and decide if it is a worthwhile venture. Such is the case of Odysseus in The Oddysey. His adventure caused him to leave not only his wife and son, but his kingdom as well. He risks everything to travel with his companions, facing many challenges along the way. 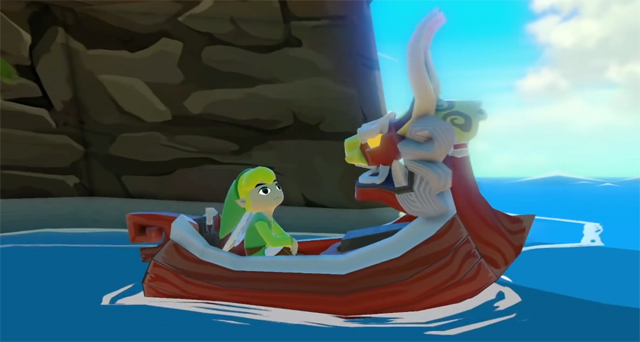 In The Wind Waker, this is the moment when Link sails away from the island that he has always lived on. It is a total abandonment of his Ordinary World and is probably one of the biggest steps in the process of the hero’s journey. As referenced in step three, this is not a choice made lightly. It is met with heavy resistance either externally or internally. This is the crux of any Zelda game. This aspect is where the protagonist faces obstacles and enemies, his character and resolve building with each victory. More than that, each of these obstacles and challenges provides an insight into who the hero is as a person. The trials function as a sort of refining fire for the hero, strengthening him physically and mentally. After his departure, Link is shown being courageous, yet foolhardy, as he jumps into the Forsaken Fortress where his sister is being held. With little knowledge about the situation he’s entering into, he rushes in. This costs him as he he disarmed upon entry and must retrieve his sword before he hopes to rescue his sister. Finally, once he has reclaimed his weapon, he enters the final chamber to rescue his sister. His lack of planning ends up hurting him yet again as it causes the Helmaroc King to easily dispose of him. After meeting The King of Red Lions, and receiving instructions on what to do next, Link arrives to Dragon Roost Island. The residents of this island, the Rito, are having a crisis of their own, preventing them from aiding him on his journey. Link, then, decides to help the islanders with their problem, beginning his first trial. Once this dungeon is completed, Link has succeeded after carefully solving puzzles and eliminating enemies. More than that, his bravery has not gone unnoticed by the young prince of the island, who gives up his prized possession: the very item that Link came to the island for in the first place, noting that he wants to be as brave as Link some day. Link repeats a similar process while at Forest Haven as he solves the Kokiri’s problems in an effort to help them and retrieve the item he came for. Each of these trials not only tests Link’s resolve, but his courage and his character as well. This is typically the midpoint in the story, where the protagonist surveys his progress thus far. It is evident how far he has come since the Call to Adventure. He is braver, smarter, and more adept when it comes to fighting. Yet, at the same time, he may still have some apprehensiveness, or there is something still holding him back. Now he faces his greatest trial yet. In many monomyths, such as the Star Wars saga, this involves a moment of self-reflection. As Luke Skywalker approaches the cave where the Dark Side of the force is strong on Dagobah, he is apprehensive about what he will find. Despite having been training with Yoda, he is ill-equipped and unprepared for what he will find as he is tested. 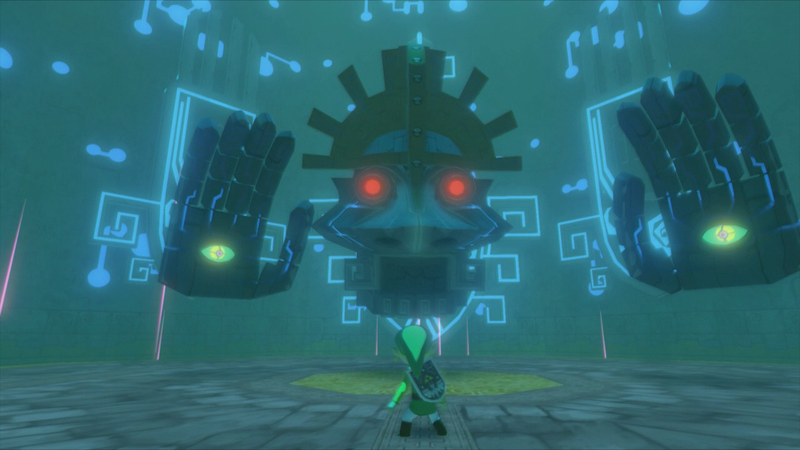 Here, Link is required to undergo the tests of the gods in an effort to prove his abilities. 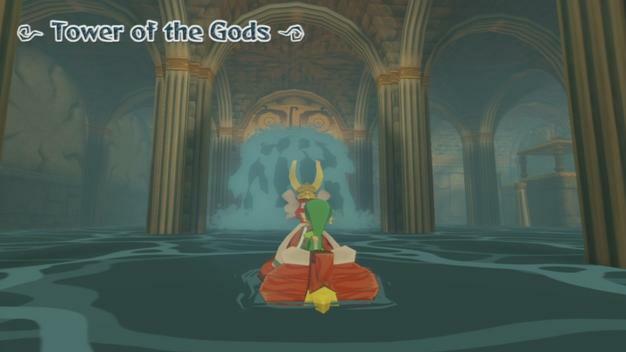 This occurs in the moments before Link enters the Tower of the Gods. As he places each orb in place, he readies himself for his next trial. As he approaches the entrance to the tower, this is another moment of anticipation. We are led to understand that in this temple, the gods will be testing Link and determining if he is worthy of their power and trust. More so, Link must draw upon all of the knowledge and skill that he has gained thus far. The Ordeal is the moment in which everything that the hero has done up to this point culminates. This is the point at which the hero’s skills and knowledge are put to the test. It is a benchmark, of sorts, to see whether or not the hero is ready to face the ultimate evil at the end. Typically, the hero is “reborn” in some way here, whether physically or metaphorically. 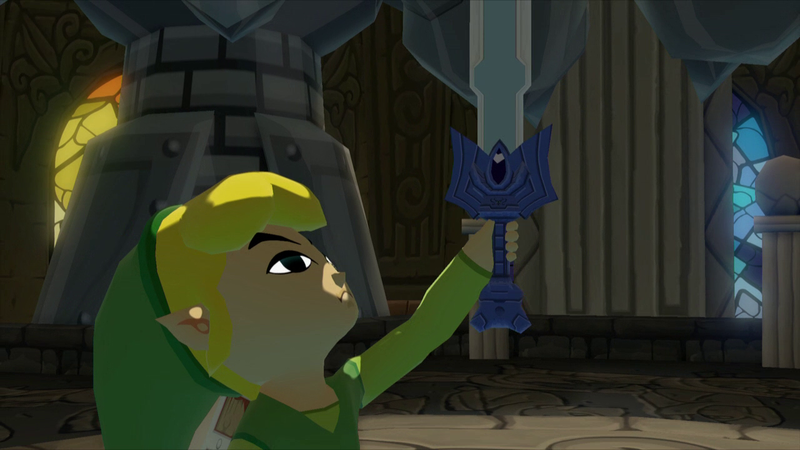 While the transformation in Ocarina of Time is more pronounced, with Link becoming an adult, the Wind Waker‘s transformation is somewhat less pronounced, with its iteration of Link seeing his standing with the gods change. The short speech has a twofold purpose. The first informs Link of his goal: to complete the challenges that are before him and attain the favor of the gods. The second purpose is an encouragement to Link. The King of Red Lions takes this moment to remind Link that he has triumphed over all of his previous trials and that this one requires that same courage to overcome. This marks a pivotal moment in Link’s adventure as he, up until this point, has not been officially recognized as the hero. His abilities are tested and he is challenged in both strength and intellect through battles and puzzles respectively. He must be brave as the eyes of the gods watch him traverse this dungeon, testing his resolve. Link’s hopeful outcome is to finally be recognized as the hero that the gods are waiting for. This step in the journey is the outcome of the ordeal. In it, the hero is transformed in some way. Furthermore, the hero typically walks away with some sort of prize, most notably, a sword. The clearest example of this can be seen in Arthurian legend. This moment happens twice for Arthur; the first being when he draws the sword from the stone and becomes king, and the second when he is gifted Excalibur by the Lady of the Lake. Each of these sees a change in the character of King Arthur, whether it be his standing with himself, with other characters, or with some sort of deity. The recognition of heroism is not just from the gods, then, but from the spirit of the sword that determines the worth of the supposed wielder. This is often when the hero returns home, transformed, much to the acclaim of those in his Ordinary World. This is the case with Arthur, whose constituents make him king after having drawn the sword from the stone. Granted, not everyone is happy with this. However, he still returns to much praise and acclaim. At the same time, this moment also creates a bit of a conflict for the protagonist. Here, he must choose between his own agenda or the overall good. Once he has reached his own personal goal, does he return home or does he continue along this path? Instead of returning home, Link returns to the Forsaken Fortress, where his sister is being held. Having finally gained the power necessary to free her, he undertakes this rescue mission yet again. Keep in mind that this entire journey has been to rescue his sister. As much as he has done for other people along the way, this adventure has solely been an attempt to rescue Aryll. With the help of his Tetra and her crew, Link liberates Aryll, as well as the other girls being held prisoner. It is important to note that this moment is crucial in Link’s journey. He has everything he has sought out for and has no other personal reason to continue his journey. He could have just left with his sister and the pirates and returned home. Rather than end it here, Link decides to continue along his journey of justice. While he could run towards his sister, he heads straight into danger, ready to face the beast that created all of the trouble to begin with. Once that is finished, though, he does not stop there. He realizes that no one is safe as long as Ganondorf is still alive. Underestimating his own strength, as well as Ganondorf’s, he charges headlong into danger to face villain, deciding to finish the mission that the gods set him on. In this moment, though, he fails. Watch any action/adventure movie or show and you know that the most intense and most exciting moment is when the hero finally fights the bad guy. For Marvel fans, this is akin to the moment in the MCU when the Avengers must face Thanos. Everything has been leading up to this and now that it has reached its conclusion, the moment of truth arrives and the hero must face the worst of the worst. The name of this step can mean many things. For one, it can be understood as the resurrection of evil. This is finally where the ultimate evil rears its ugly head. While we see it throughout the story, it is not until this final battle where we truly see it for what it is. However, this step can be taken another way. In many stories, especially in film, it is at this point that the hero is down for the count. Things do not look too good for the good guy and it seems that the bad guy will win. Then, in a clear show of will and courage, the hero stands up to fight. This is what is known as the “second wind,” which is a writing cliché that is used in stories across the board. Every time the basketball team in a Disney movie looks like they’re about to lose with one second on the clock, but they pull off a victory, that’s a second wind. Essentially, it’s a new sense of purpose, or a refined one, that allows the hero or heroes to pull off an amazing feat. 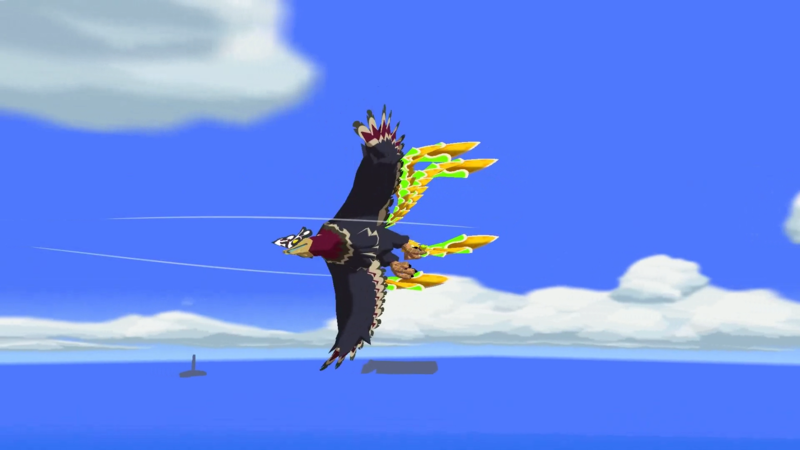 In The Wind Waker, several such beats occur. Link must face his greatest trial yet as he relives his old battles on his way to his final fight. Everything comes to a head as he is called upon to use his courage, strength, and wisdom to overcome this last challenge and bring peace to the land. Fans of the series are aware just what kind of challenge awaits Link as he is to fight the very incarnation of evil that has plagued the world since before time began. When the hero finally encounters Ganondorf, the villain behind everything, we see that he is vastly overpowered. With no chance of winning, it seems like all hope is lost. Thanks to a reversal of fate, though, Link is given one last chance to fight. This step signifies the end of the story, bringing closer to the journey. The hero has triumphed and has returned to his Ordinary World, albeit a changed person. He brings back the solution to the problem at hand, whether that be a cure for a disease plaguing the land, gold, or what have you. At the end of the story, the audience sees a changed person that they have been able to grow with throughout the duration of the story. 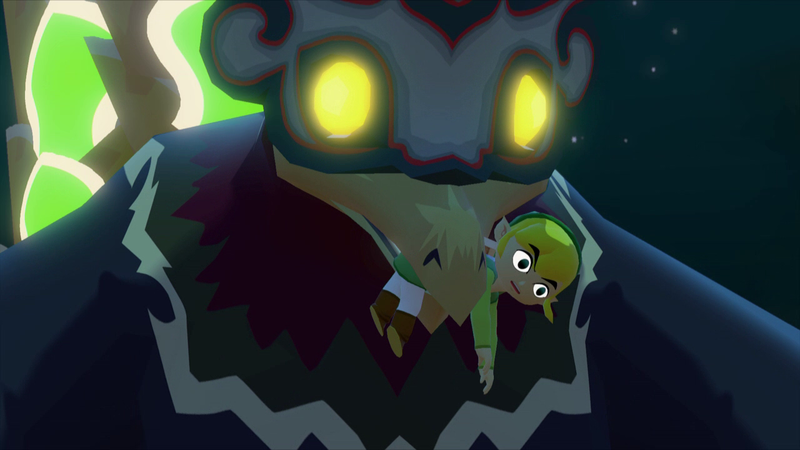 The ending of The Wind Waker sees a bit of a different resolution than the typical heroic ending. Link returns his sister home, having brought harmony back to the land. Instead of staying, though, he and the pirates, led by Princess Zelda/Tetra, embark to find a new land to establish a new Hyrule. With the key problems solved and a new adventure ahead, Link sets out, no long just an average boy, but a changed man whose courage has brought about peace. Dedicated to my English teachers, Mrs. Adams & Mrs. Craig, and my World Literature Professor, Dr. Grimes, who have instilled in me a passion for writing and a love for literature.